WILMETTE, Ill. (WGN) -- As a small business owner, you worry about making payroll, increasing sales, satisfying customers, you don't worry about a car crashing through the front door. But that's exactly what happened at Salon Fusion today. 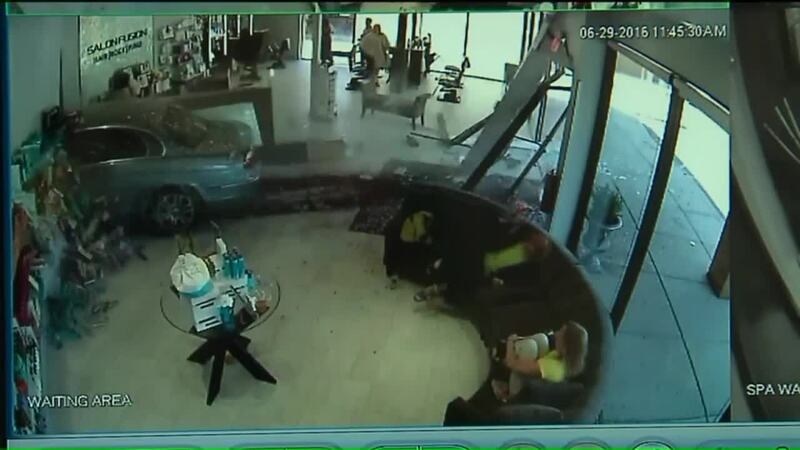 It was business as usual until a four-door gray sedan driven by an 83-year-old woman came barreling through the glass front door and into the salon nearly hitting two employees, two receptionists, by moments and inches and a customer, too. The elderly driver reportedly told authorities she meant to hit the brake but instead hit the gas. The salon's co-owner tells WGN while there's a lot of damage he's just very thankful no one was hurt. The driver presumably was ticketed and Salon Fusion does remain open for business.